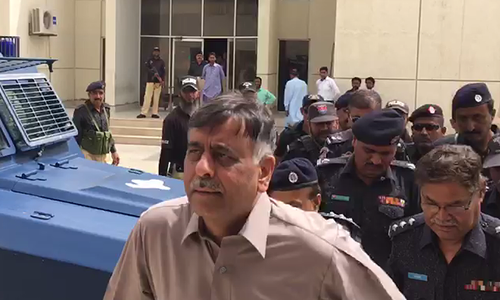 An anti-terrorism court (ATC) in Karachi on Monday indicted former Malir SSP Rao Anwar and 17 others for the murder of Waziristan native Naqeebullah Mehsud in a fake encounter in Karachi. Anwar and the other accused, who were in the courtroom when the charges were framed against them, pleaded 'not guilty'. The court ordered the complainant and the magistrate, who recorded the testimonies of eyewitnesses, to appear on April 11 and adjourned the hearing until then. Anwar, along with former deputy superintendent of police Qamar and three others who are accused in the case, are out on bail, while 13 police officials are in jail on judicial remand. 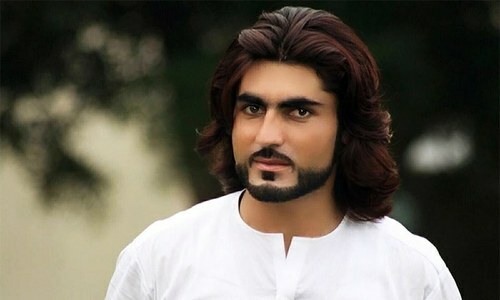 An inquiry team probing the Jan 2018 'extrajudicial killing' of Naqeebullah found that the Waziristan native was killed in a "fake encounter" which was "staged" by the former Malir SSP. Following the inquiry team's findings, Anwar was suspended from his post. Rao Anwar, however, has stuck to the claim that Naqeeb was a Tehreek-i-Taliban Pakistan militant. No evidence has emerged to support this claim. The killing of the young Mehsud had sparked widespread protests by the civil society and then chief justice Mian Saqib Nisar took suo motu notice of the killings. But a formal trial of the case had not been initiated until now. After eluding law enforcers for two months and upon being offered opportunities by retired Justice Nisar to surrender, the former SSP had finally appeared before the Supreme Court and was subsequently arrested in Islamabad in March last year. Instead of detaining him in the Karachi central prison, jail authorities had shifted him to a house due to alleged security concerns, declaring it a sub-jail in the Malir Cantonment area. He was later granted bail by the anti-terrorism court No 2 in the two cases pertaining to the kidnapping and murder as well as registering fake criminal cases against the victims in July last. After slain model’s father Khan Muhammad Mehsud, who is the complainant in the main case, showed no confidence in the ATC-II, the Sindh High Court had transferred the cases to the ATC-III on Nov 5, last year. “The formal trial has not taken off so far because none of the suspects has been indicted by the trial court in the cases,” Advocate Salahuddin Panhwar, the counsel for the complainant Mehsud, had told Dawn after attending the last hearing on Jan 6. Obviously, like any other accused criminals and corrupt politicians, they don't admit their crime. 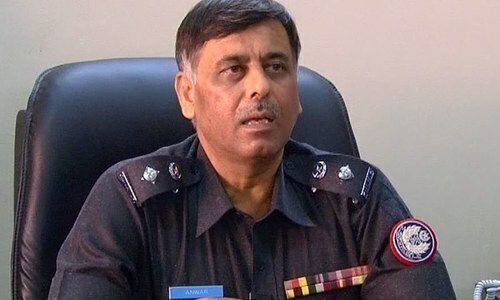 It is up to prosecuting team to provide evidence and witnesses of their committed crime, as in this case, an innocent person was murdered by an SSP called Rao Anwar and his associates - public want to know who planned and ordered a fake police encounter? I am sure a well known politician and his fellow corrupt politicians are likely to be involved either directly or indirectly - justice must prevail and seen to be working, no matter who they are and what is their social status in society. (Gharib Awam ki Awaz). of course .. even when the final judgement is going to be made.. let us see how the entire saga is going to be played out... maybe the cause is hidden; the effect is visible to all. He is never going to accept it. If Rao is not guilty, than who is guilty ? As both his father and Rao are silent .....maybe Bilawal can unravel the mystery of Rao Anwar and Naqeeb's murder. Even in Naya PAKISTAN...Powerful criminals are on bail while powerless are in jail. One must not forget the inevitable role of Rao Anwar in application of NAP but as it was a huge blunder and his crime is also unforgivable. The story ; is near to its end and we expect justice for the deceased family. Lets see if Anwar gets the punishment he deserves, else, I won't believe in our law anymore. @Dr.Shams, Absconders should never be granted bail. This is patently against all common sense. Too little, too late. In fact, justice delayed is akin to justice denied. He should be brought to court in handcuffs. Look in the picture, the murderer is laughing. The accused are dictating terms to the Sindh courts, shameful. On the face of it, this is open an shut case. However, given the competency of investigation and prosecution of the police in Pakistan, this case will drag on forever and in the end, the culprit will be released. He abused his powers to commit heinous crime, then went into hiding like a coward and now he denies any wrongdoing without shame & remorse. @Dr.Shams, if nawaz is powerless than i am nonexistent. PS: not even a PTI supporter but your statement is factually incorrect. Let me guess. An absolute clean chit will be given to Rao Anwar. He will be free of all charges just like Bahria Town and Malik Riaz. 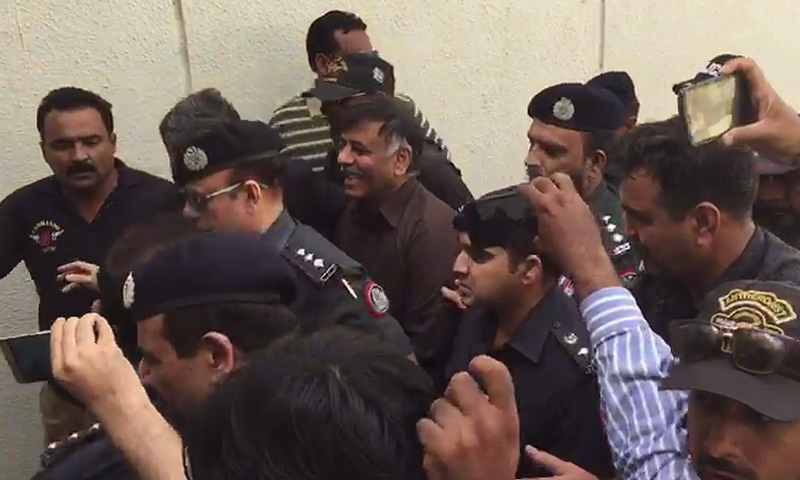 The sources behind Bahria Town, Malik Riaz and Rao Anwar are way above the law. Hence they have nothing to worry about. Delayed but still an important first step in the right direction. There is a high chance of him absconding, his family is abroad. Therefore, he should be held in jail. And put his name on the ECL. He will soon open his mouth and share the names of those who ordered him to murder the victim. The fact that police men lower down the order are in jail but the big wigs officials Rai anwar and SSPs out on bail speaks volume about justice. So was the Najeebullah was a terrorist ? His link with terrorist proved or not ? if NO then who is the culprit who killed those innocent people ? Put Rao and his companions back in jail before they leave Pakistan. Cancel his bail otherwise he might run away again. Yes now would be an apt time for no fly lists. You know how we usually treat our victims and activists. The difference being these men actually belong on the list. If they were so honest to admit their own guilt, they wouldn't have committed the crime. @Mirza, agree sir he is out on bail where S poor constables hawaldR are in jail. @Mirza, I agree. Too sad for Pakistan. The law does not apply to the rich and influential. Only to the poor. @Anti-Corruption_Pakistani, Fact check, when he try to escape from courts, his whereabouts was not found in Bilawal House but ostensibly from some hotel of Rawalpindi.